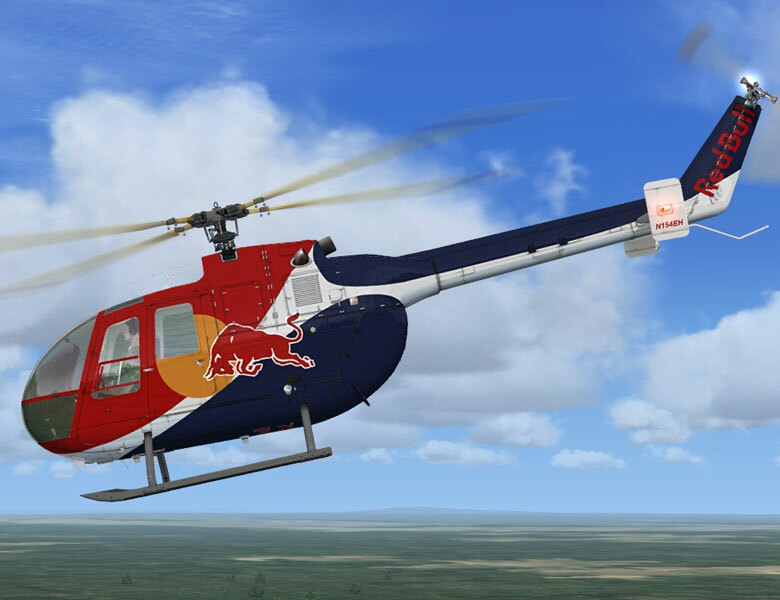 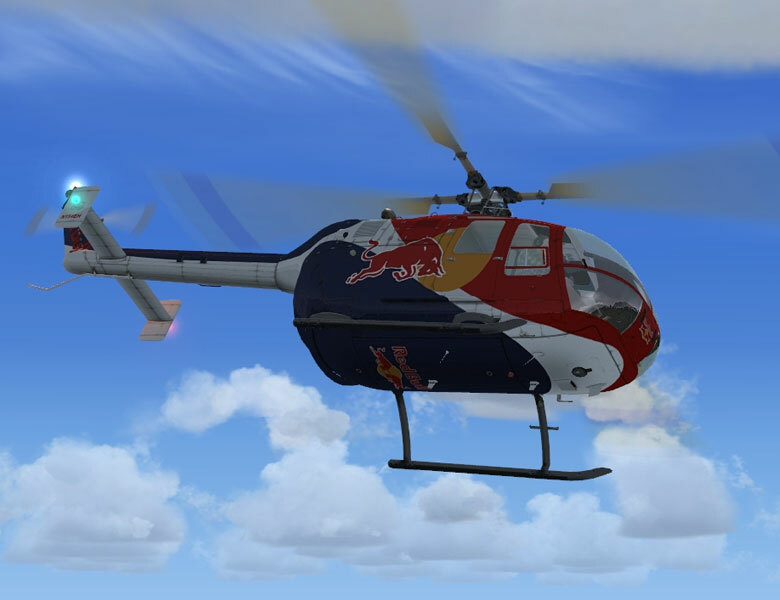 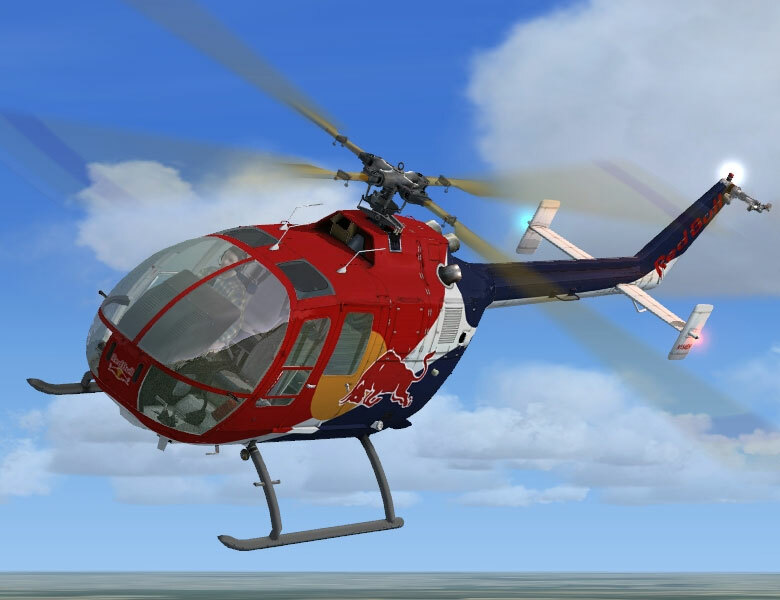 The Bo 105 is a light utility helicopter system recognized around the globe for its versatility, performance and safety record. 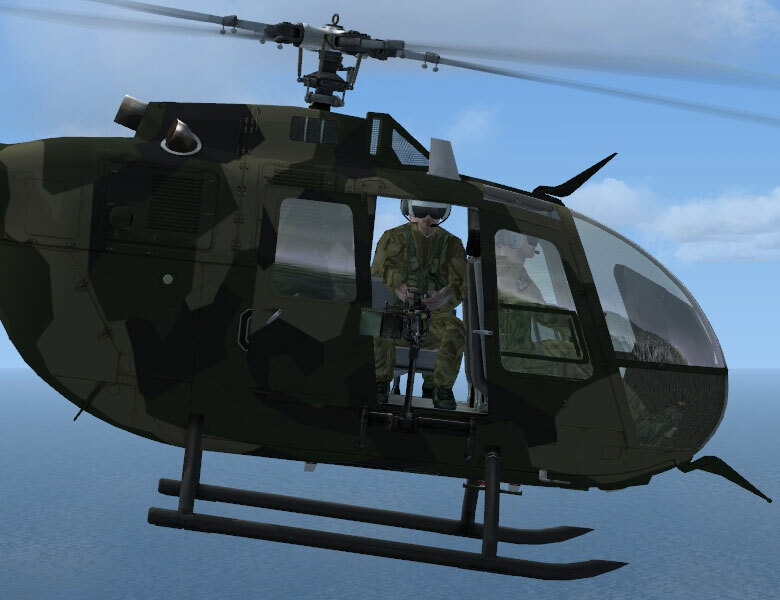 It serves in a military and civilian capacity in nations throughout the world, providing the ability to operate in many guises. 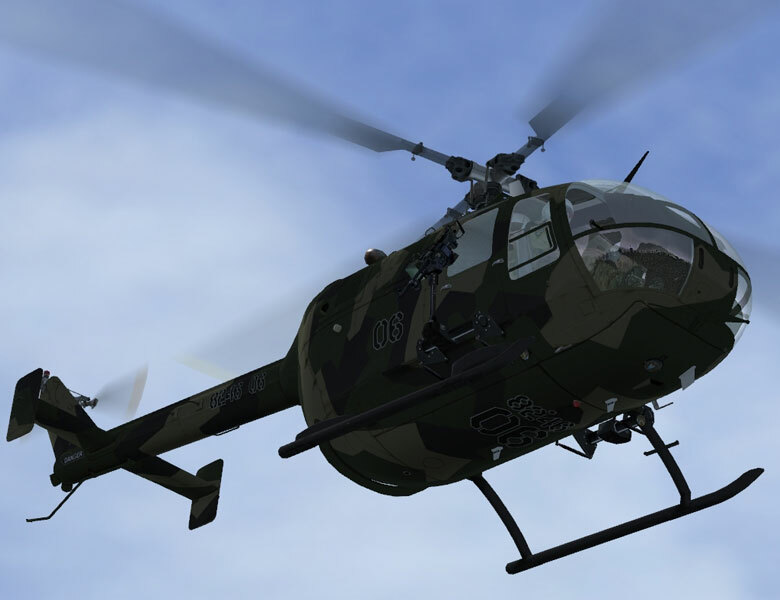 The protorype flew in 1967, achieving full operational status by 1970. 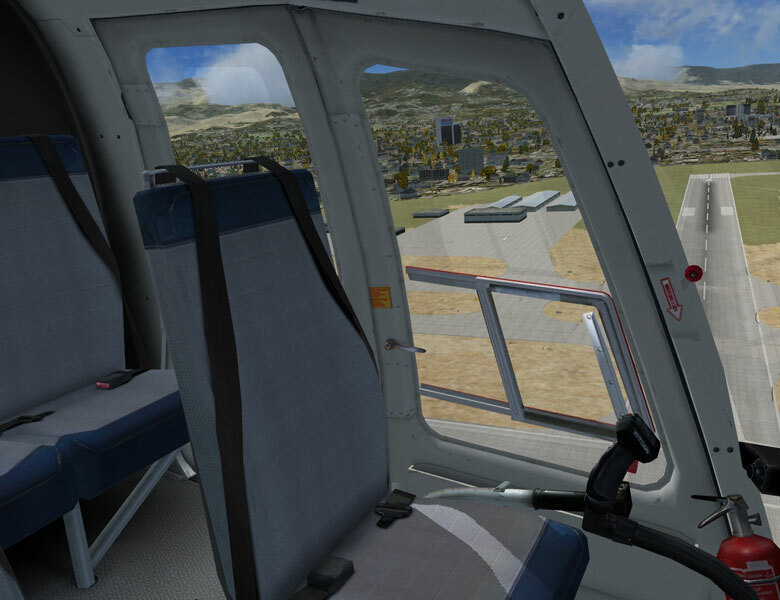 The cabin allows for a crew of two, plus three passengers and two medical litters in the medevac role. 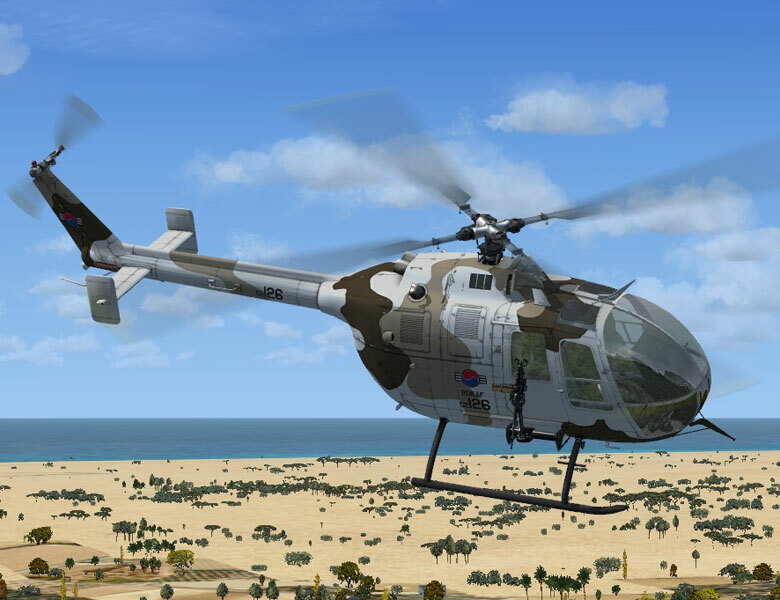 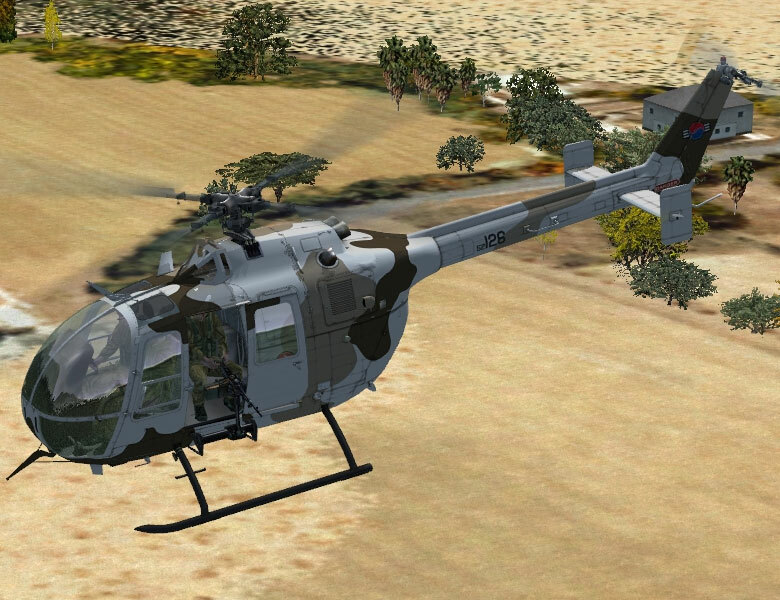 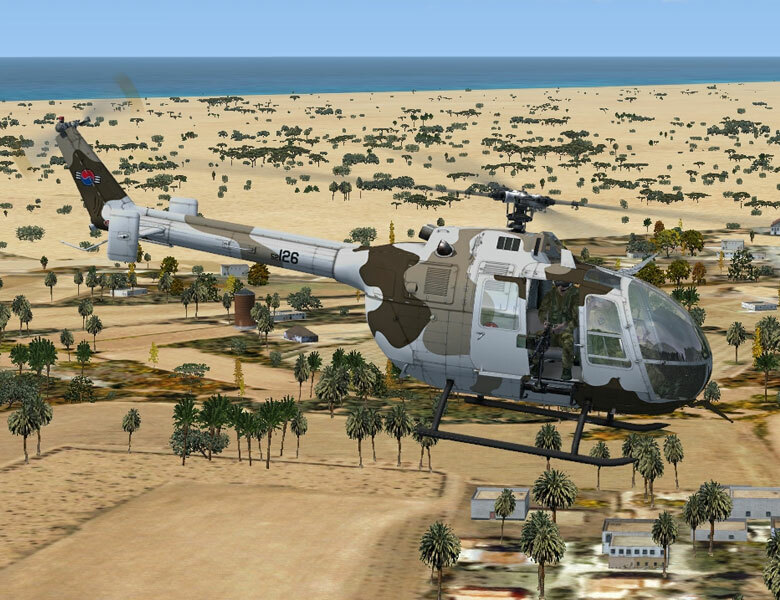 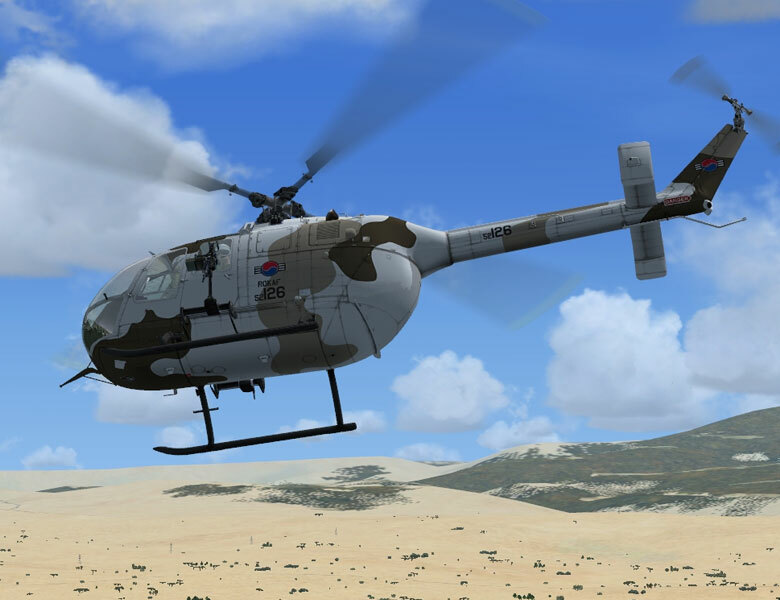 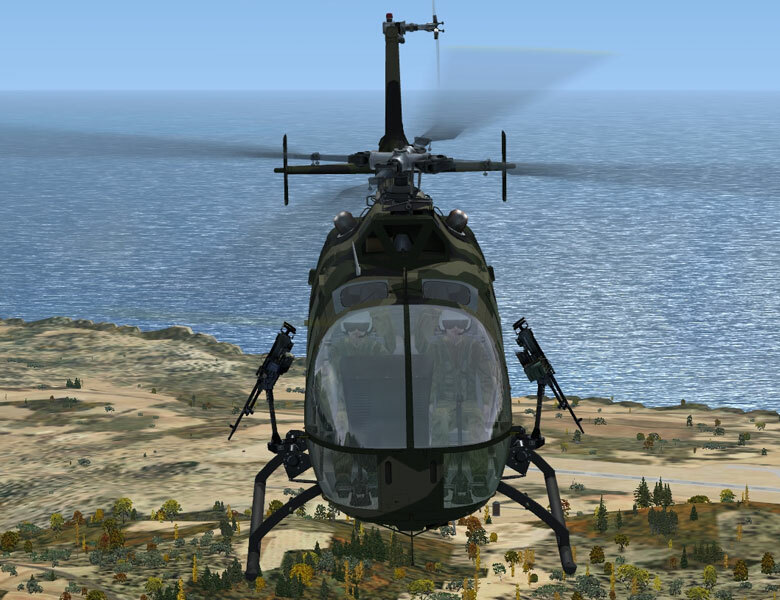 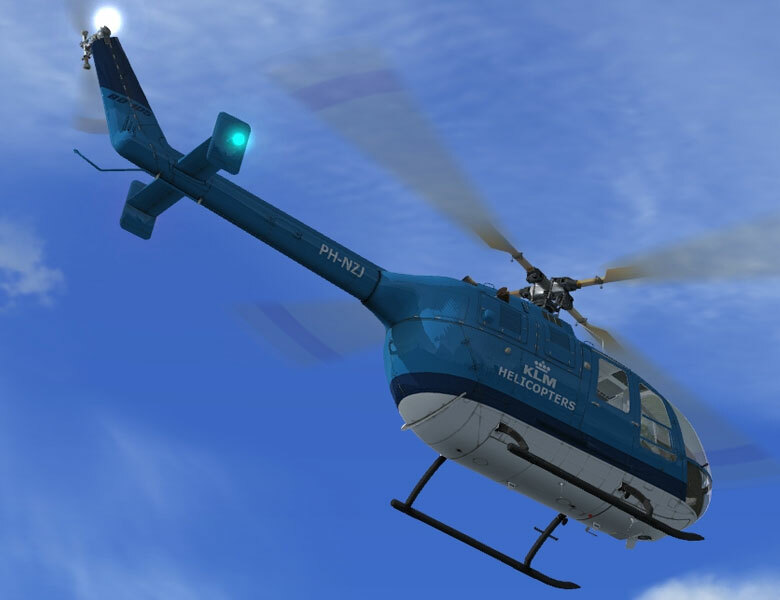 A series of two Allison-brand engines have powered most of the series, driving a four-blade main rotor system along with a two blade tail rotor. 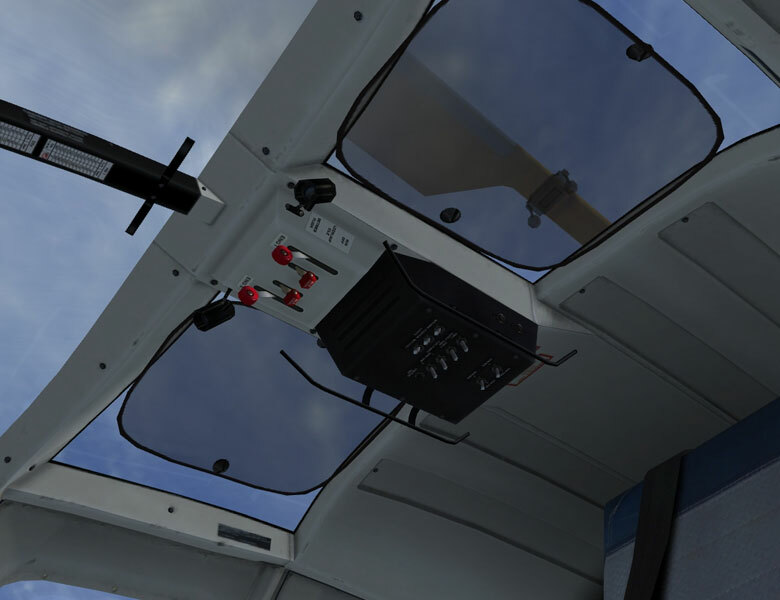 Visibility out of the cockpit is very good and several variants lengthen the cabin size, offering up more windows for improved visibility and additional storage/passenger seating space. 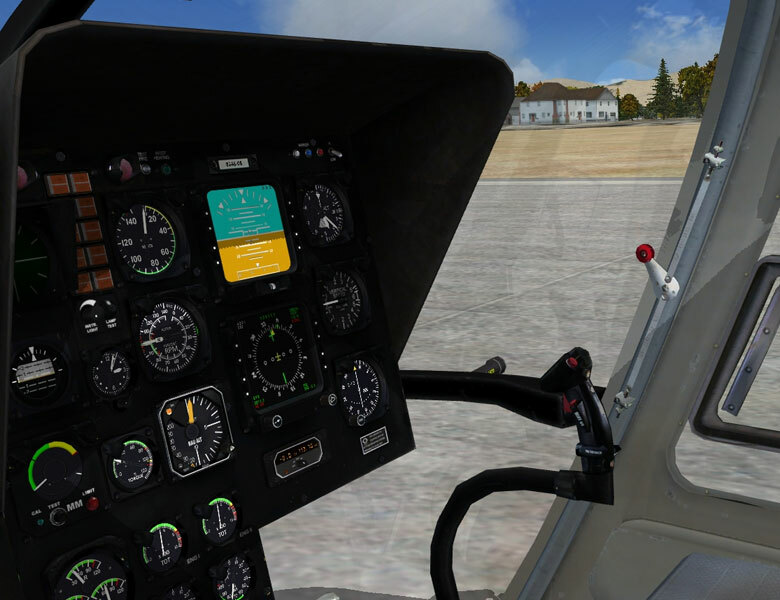 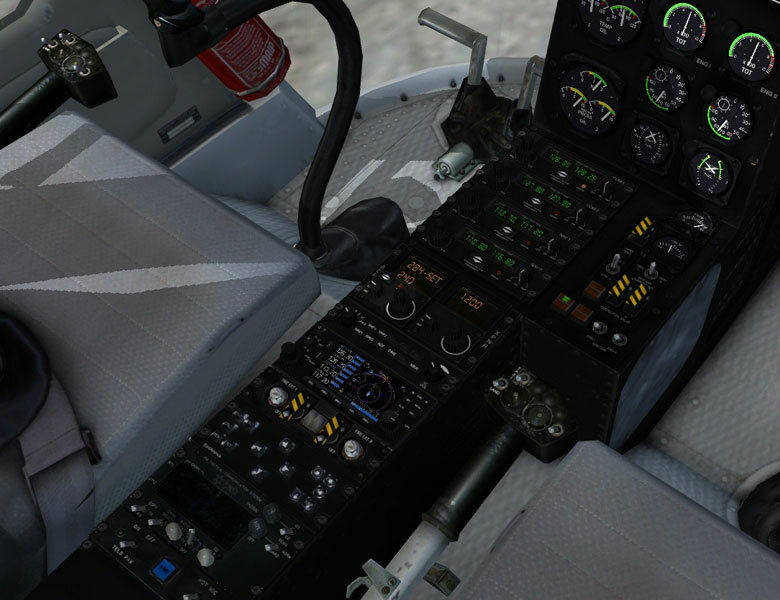 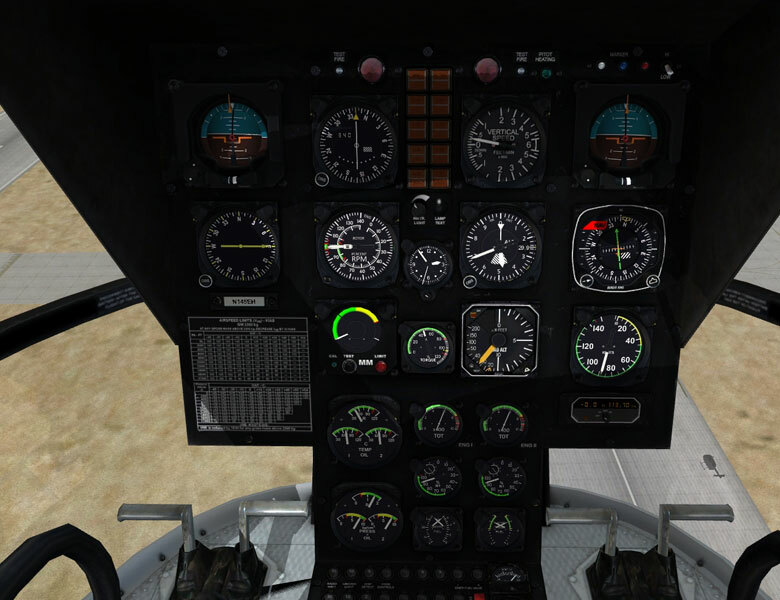 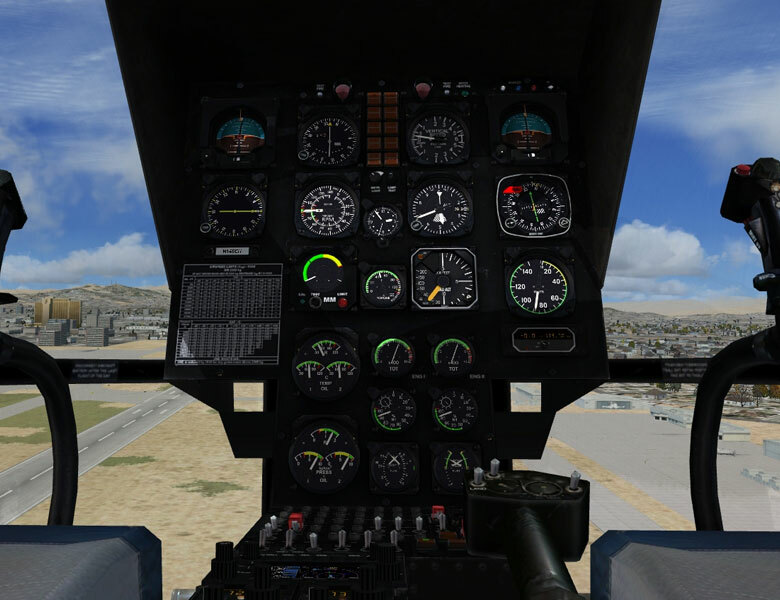 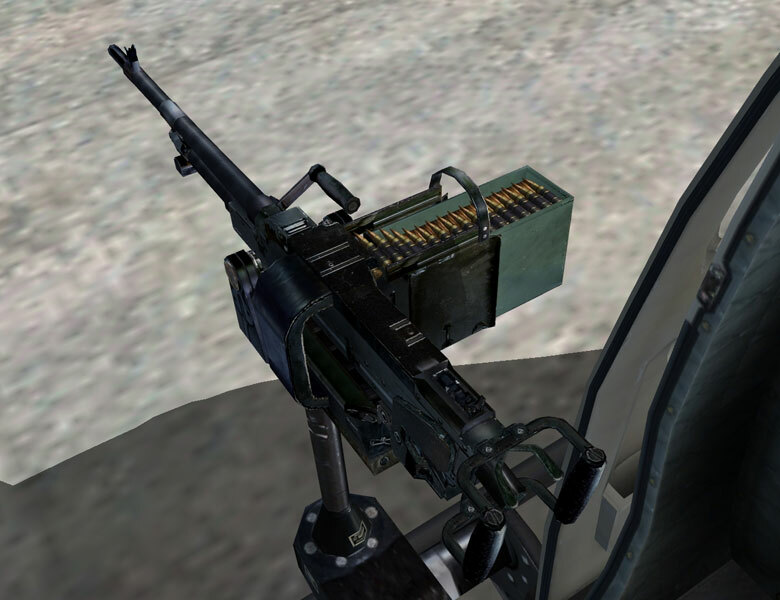 This addon works only under Flight Simulator X. 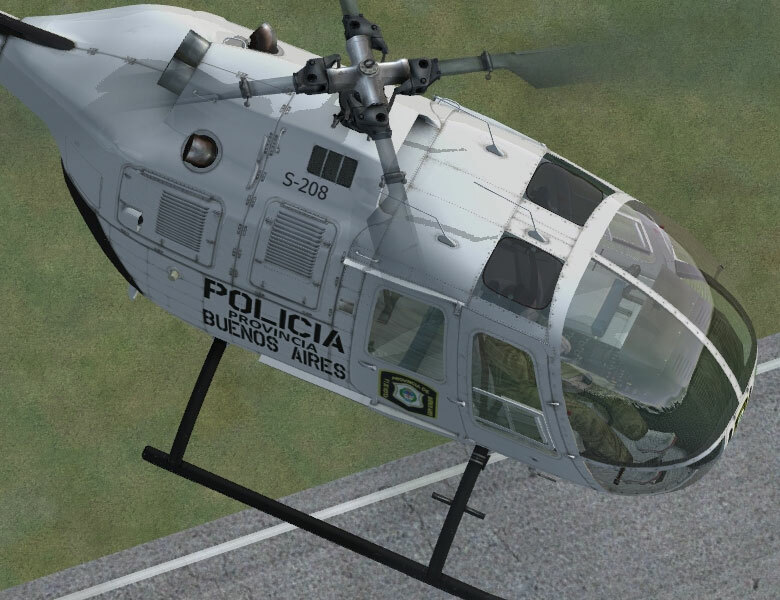 • Accurate and detailed interior and exterior visual models and textures. 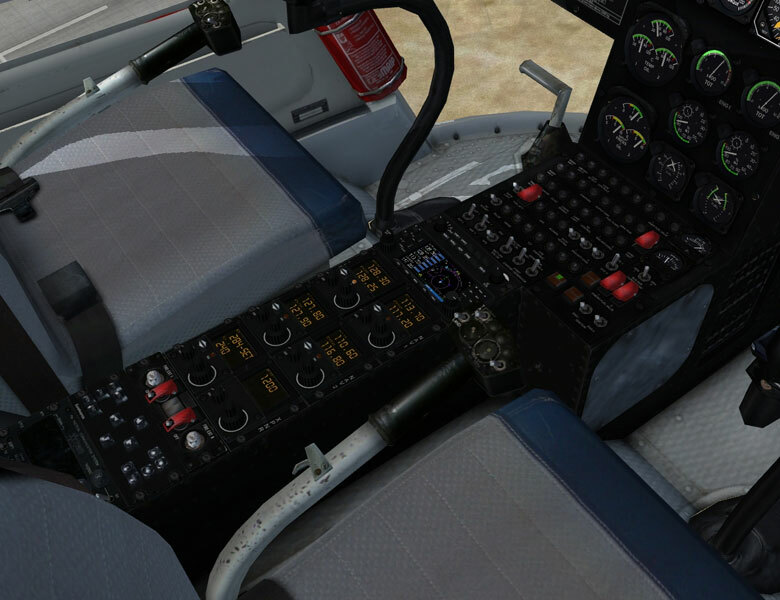 • Custom exterior and interior animations. 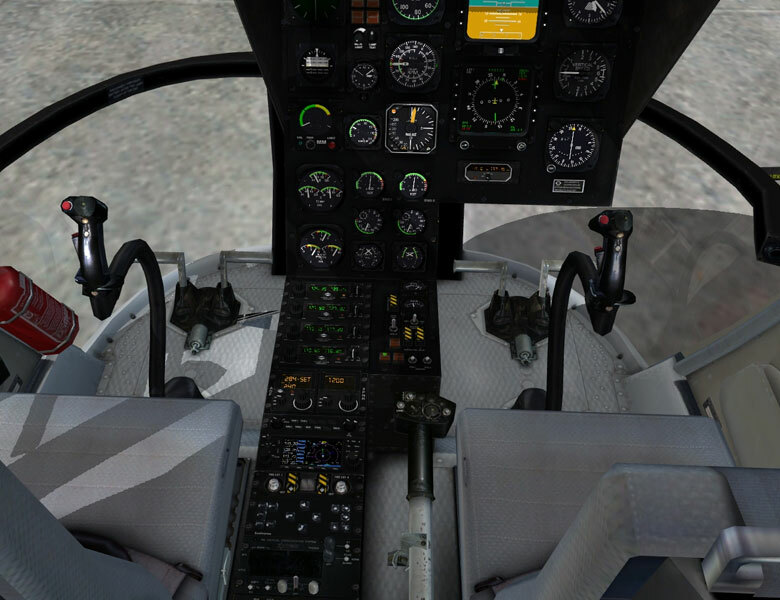 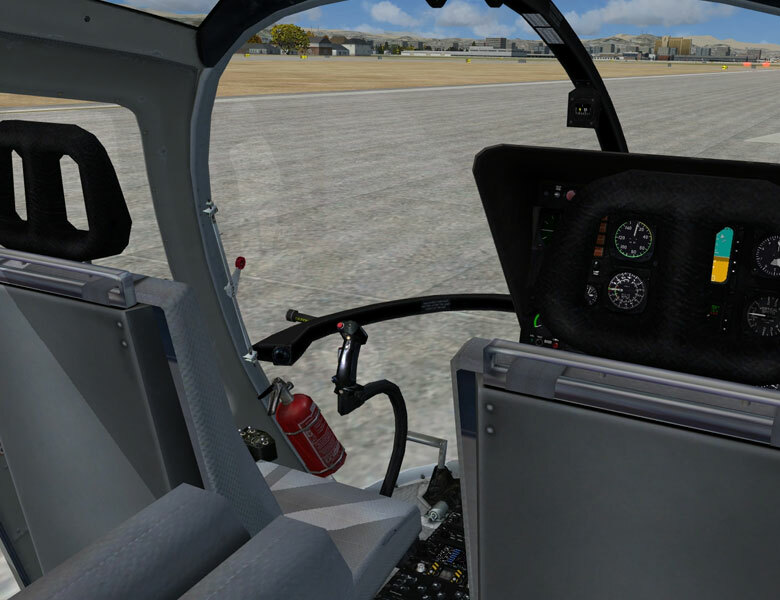 • Fully clickable dynamic virtual cockpit. 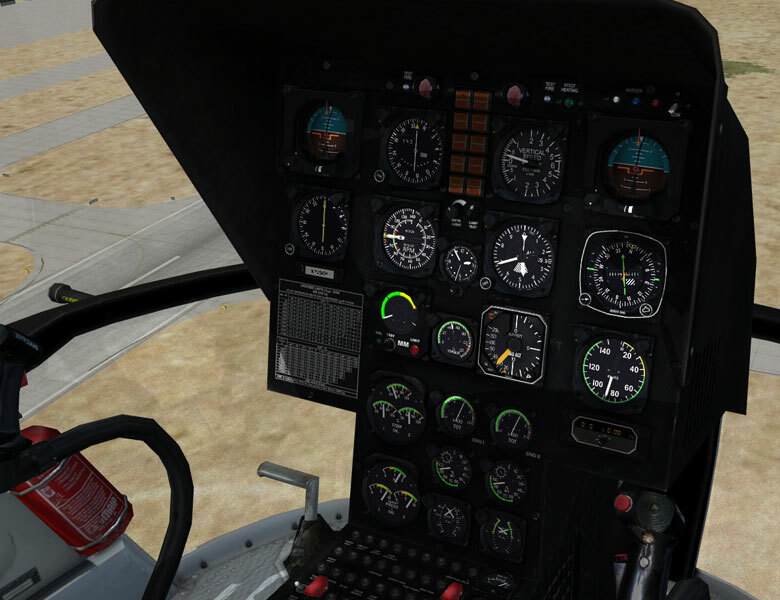 Perfectly flyable from the VC. 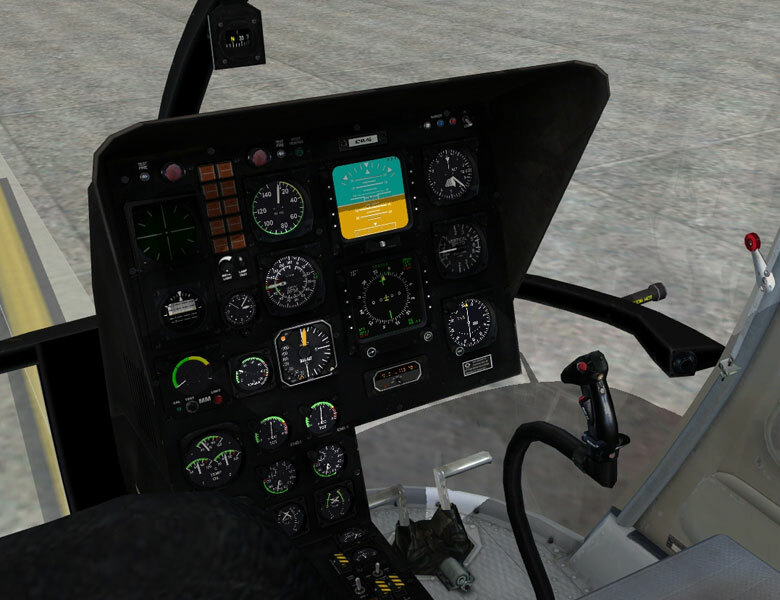 • Two different panel configurations.